Dairy Cow Polished Weathervane - one of the oldest American weathervane designs. A beautiful addition to the roof of your home, barn or garage. 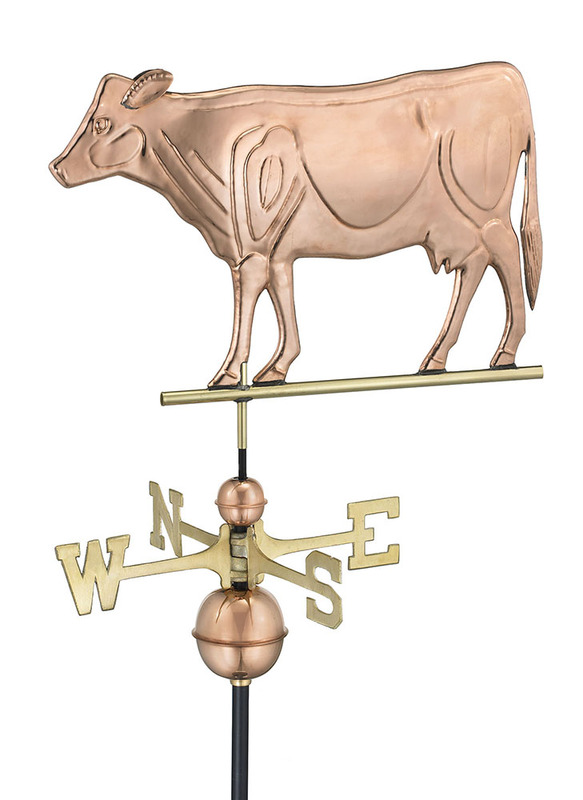 The Dairy Cow Weathervane Figure measures 23"L x 15" H x 1" W - assembled it is 23" L x 18" H x 25" W.